Ohhh I love the striped dress! That would be perfect for Fall! I love the color of that orange dress! So fresh for summer! These dresses are adorable! I love J.Crew! Oh I love me some stripes! You could totally wear that in all seasons! Love these dress, especially the white one on the bottom. 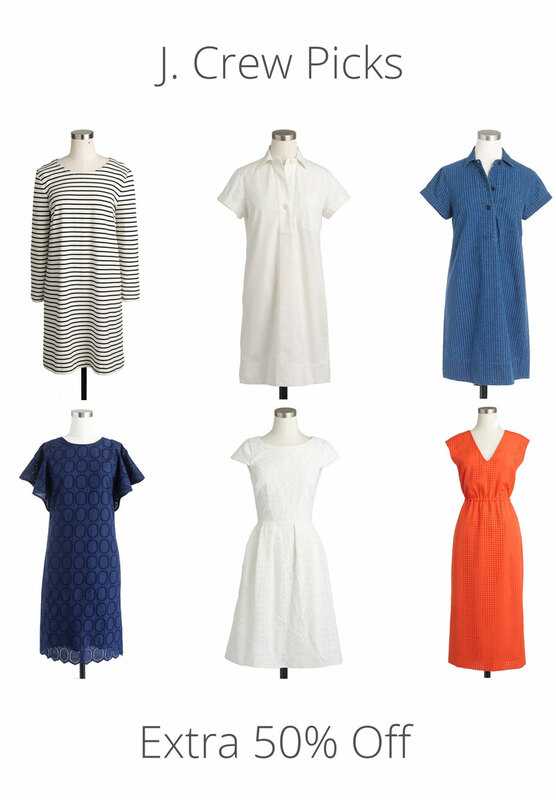 J Crew can be a bit pricey at sometimes so good to know there are some cute dresses under $50. Loving all the stripes right now! 50% off is a great deal too! These are beautiful! I wish it was easier for me to wear dresses but I have such an awkward body type. Still, a girl can dream! Oh, I love that orange dress! It would be perfect for fall!